Hello everyone and welcome to the King's-Edgehill English as a Second Language Summer School 2017 session. Students and families arrived on Saturday, Aug 19th. It was a chilly, rainy day; however, that did not dampen the excitement of the opening day of our camp. 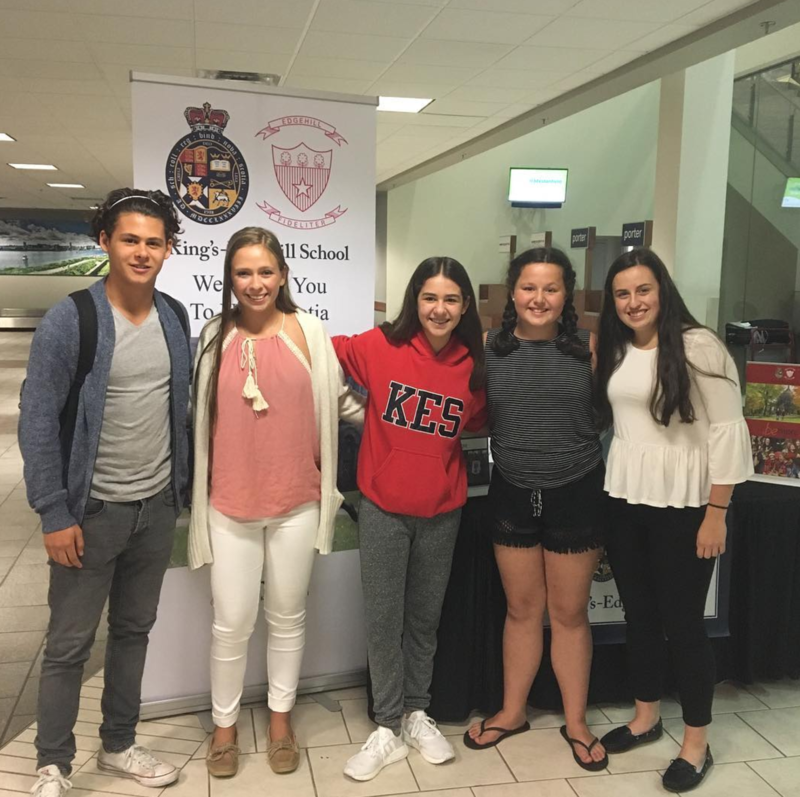 Many enthusiastic KES student volunteers and teachers were here to welcome the new families, help them settle into their rooms, and to start new friendships. We had campus tours, games in the gym, a parent reception at the Headmaster's home, and had a good time bowling in the evening. Welcome, everyone - we are looking forward to a great year together! The students have been lucky with weather. The students have spent relaxing day at Risser's Beach, Aylesford lake and exciting times at the trampoline park and Upper Clement's park. We have been practicing our English in the morning during class time, getting our uniforms ready for the regular school year and heading out on fun excursions in the afternoons and evenings. 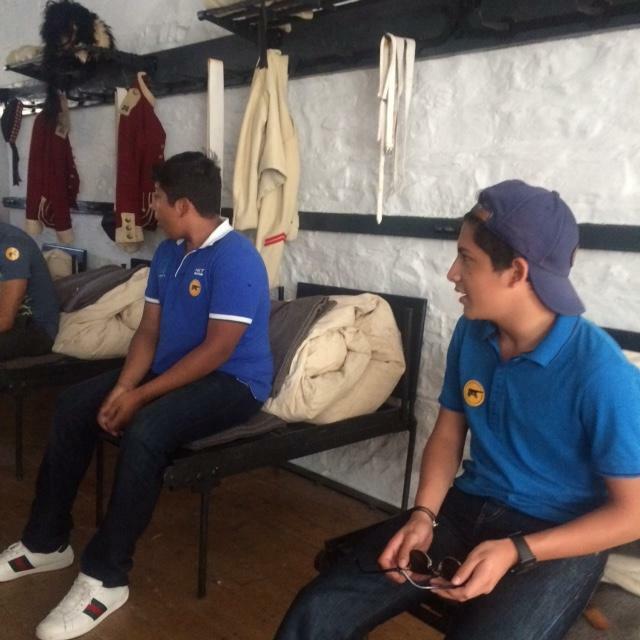 On Tuesday and Wednesday the students visited the Citadel in Halifax, had an informative tour of Halifax on the Harbour Hopper, went swimming in Windsor and visited the Haliburton House and Birthplace of Hockey Museums. Some of the students enjoyed beaver tails and poutine on the Halifax waterfront. 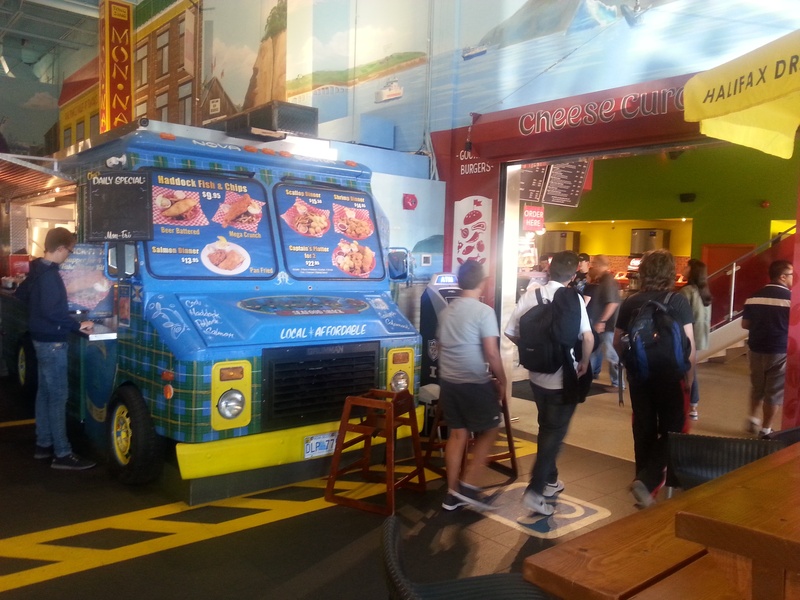 We also visited the Truck Stop Food Market. Students could try Thai noodles, tacos, poutine, subs, stir fried vegetables and curry, deluxe burgers, just to mention a few of the dishes. A fun time was had by all. On Sunday we had our first excursion. 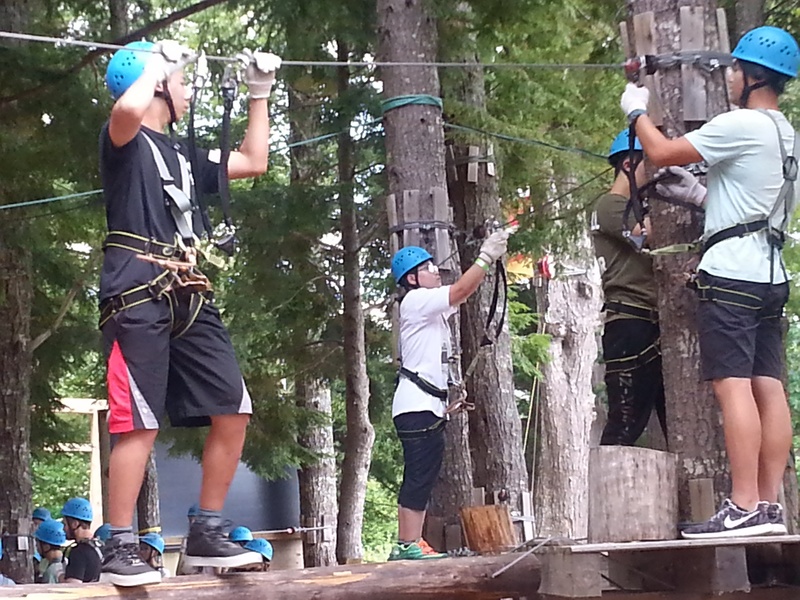 Students and staff went to OnTree at Martock for an informative lesson followed by 4 hours of adventure. Students could chose basic, intermediate and advanced zip line courses. The students had a lot of fun and a great workout. They had no problem falling asleep that night! 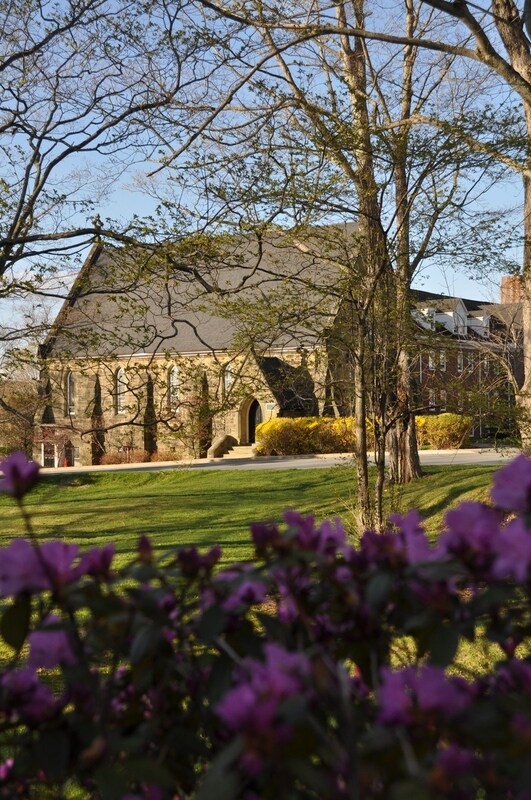 King’s-Edgehill School is proud to offer all international students the chance to participate in our ESL camp, which takes place right before the school year begins. Similar to the ESL program at KES, the ESL camp provides English language learners with an opportunity to learn and improve their English through a variety of activities and interactions. The King’s-Edgehill ESL Camp 2015 was a great success! It was a wonderful opportunity for your international students to get to know each other, build friendships and ease their minds prior to the start of the school year. It is also a chance for students to become familiar with our local surroundings, and to explore the beautiful province of Nova Scotia. Your students enjoyed navigating the Cabot Trail in Cape Breton, sea kayaking in Mahone Bay, visiting the Halifax Citadel and learning about the birth place of hockey, just to mention a few of the exciting excursions. 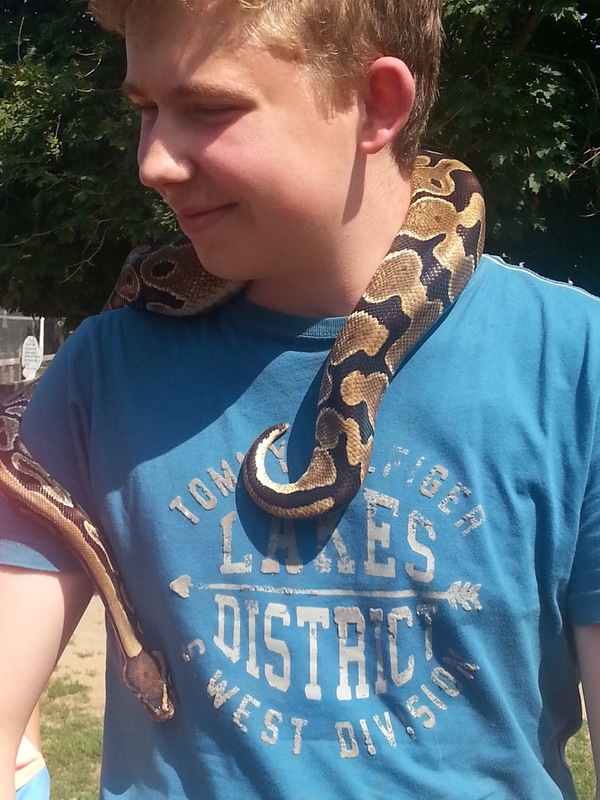 The students have been enjoying themselves during the ESL summer school. We have been extremely lucky with the weather. Everywhere we go, the people keep complimenting the students for how mature and respectful they are. The tour guide at the Citadel said we are the best group he has ever had. 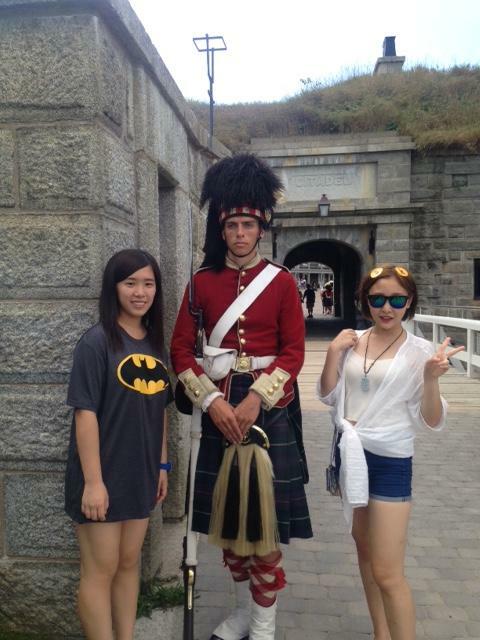 This past week we went to Halifax to stroll the waterfront, take a tour of Halifax on the Harbour Hopper and visit the Citadel. Students got to sample beaver tails and poutine. Next we spent a day relaxing by the Atlantic Ocean on Risser’s Beach. Yesterday, we drove to the Look-Off to enjoy the amazing view of the Annapolis Valley, before heading to Oak Lawn Farm Zoo. Waterfront. The other Half went to Haliburton House Museum. On Wednesday the groups switched. They visited the hockey museum at the Haliburton House too. In just a few days’ time, we will be welcoming 50 students to our campus. 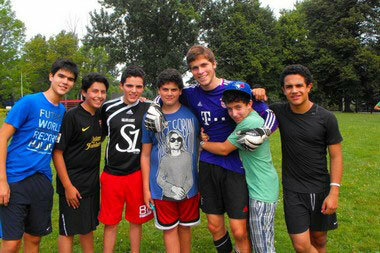 While school doesn’t start for a few more weeks, our ESL camp will soon be in full swing. This year we’ll have students from Taiwan, Mexico, Columbia, Germany, and China who will arrive in time for the ESL Summer School.